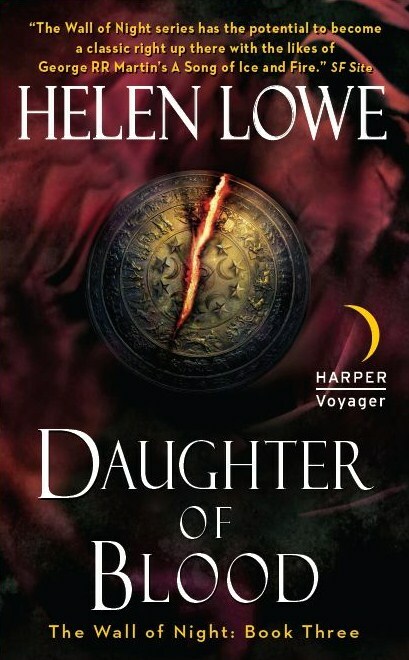 It was meant to be revealed here in mid-July — but after all, what better way to see in August than with the very first “…on Anything, Really” outing for the US cover for Daughter Of Blood. So here it is, in all it’s glory: enjoy! 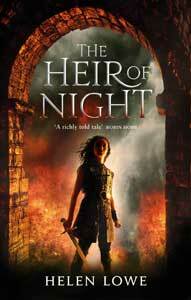 This cover heralds the re-release of The Wall of Night series in the US, so there’ll be matching covers for The Heir of Night & The Gathering of the Lost as well — also coming very soon, I believe. The publisher is also checking to find out why the e-book edition is not showing up currently—but it will be available in January. The cover is awesome ! Very eye-catching ! I am guessing it is one of the items Malian needs to find ? I agree with June – great cover and I like it! June, I’ll talk a little more about the cover ‘provenance’ once the new covers for The Heir of Night & The Gathering Of The Lost are in the public arena—which I believe will be very soon.